Photograph (Reverse) of the piece bbcv10bs-fa01-a7. Banknote from the Banco Central de Venezuela, with a face value of 10 Bolívares, Date Enero 29 1980, serie "A7", and classified in Design F, Type A.
Numismática Andina has the pleasure to invite to the Third Numismatic Convention of Mérida 2019, to be held in the city of Mérida, on Saturday May 11, 2019 at the Hotel Belensate. The convention is from 10:00 am through 5:00 pm in the Main Hall. The Auction will be held from 6:00 pm to 9:00 pm. The address of the hotel is: Urb. La Hacienda, Calle Principal, No. 4-6, Merida, Venezuela. 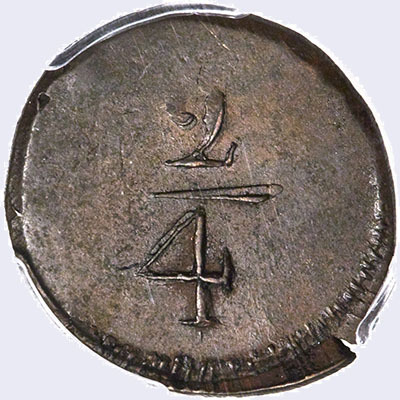 Numismática Carabobo, C.A. is pleased to invite to the 2nd Numismatic Convention and Colleccionism VALENCIA 2019, to be held on Saturday, March 16th in the Guayacán hall of Guaparo Inn Hotel, Urb. La Granja, Valencia; starting at 10:00 a.m. through 5:00 p.m., with the special auction in the Bucare Hall at 6 p.m. as ending activity. The event date was rescheduled to Saturday March 30th 2019. Auction catalog is available: convencion-valencia-2-subasta.pdf.